It took some effort, but in the end, I successfully calculated the geographical point of the Sun. I assumed that I could do the same for the Moon. However, after following this article almost to the letter (except for precession and perturbations), my calculated answer is much different from this site. I've examined the article and my code many times, but can't see an error. 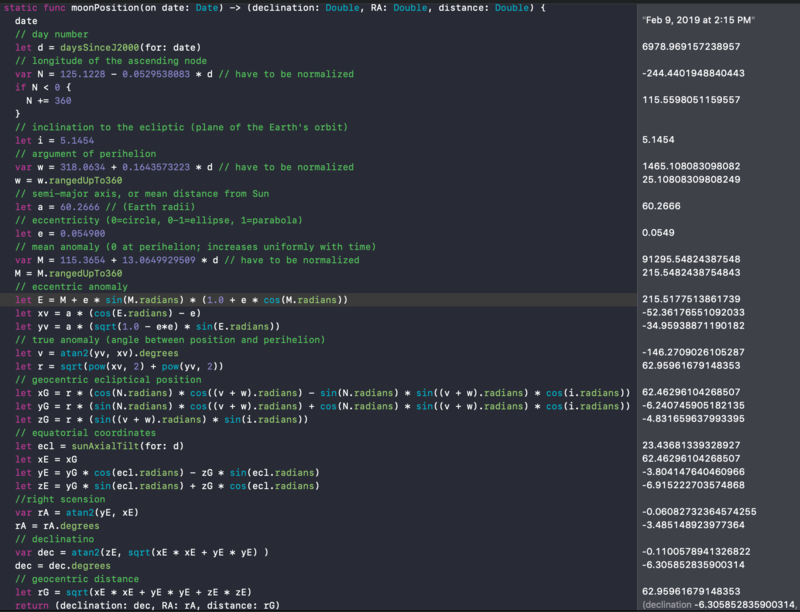 I use Swift programming language, but here it's merely a way to represent my calculations and results. let greenwichTimeZone = TimeZone(secondsFromGMT: 0)! Browse other questions tagged the-moon declination right-ascension or ask your own question.